This maybe a copyrighted image. Found as a “Family Tree Demos thumbnail” for FamilySearch.org. If your intent is researching your family history from the comfort of your home and the internet, then this next tip is an ideal resource. Here is Tip # 2: Set up a free account on Family Search and create your own family tree. Family Search has been extremely helpful in researching my relatives’ birth, marriage, death, and census records for free. 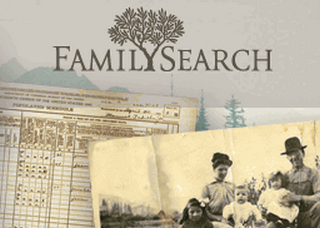 I strongly recommend familiarizing yourself with the Family History Research Wiki page for helpful instructions on navigating and searching this site. Special Note: I’m in the process of moving The Kinfolk family tree from My Heritage to Family Search. My Heritage’s basic plan is free for up to 250 records. If you want to include more individuals, you have to upgrade to a premium account. So far Family Search has no limit on individuals and remains free. And free is the way I like it!